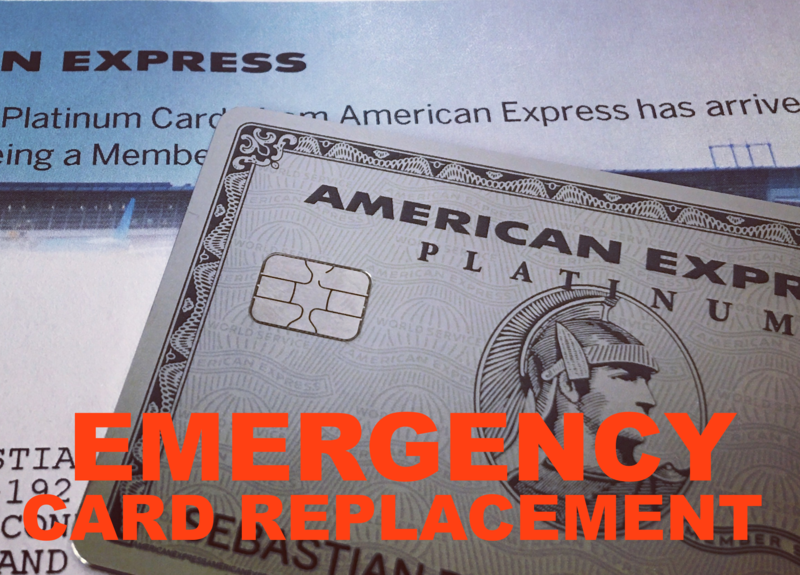 Review: Getting An American Express Card Replaced While Traveling – An Easy Task? 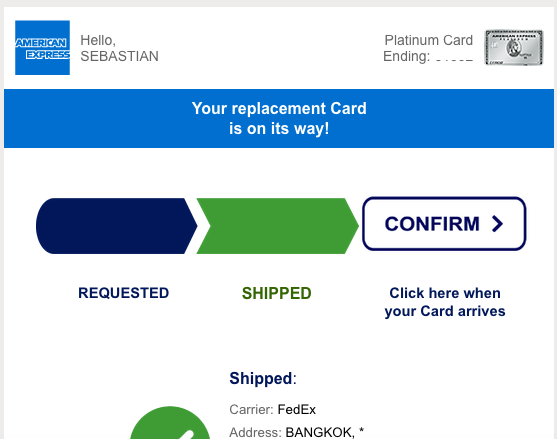 Last week I found myself confronted with the situation that the chip of my American Express card stopped working and henceforth it required quick replacement while traveling in Thailand. Sometimes bad things happen and travelers face the issue of having their cards damaged, stolen or compromised which requires immediate replacement and sometimes that can prove difficult. American Express as a global company makes a lot of advertisement with the statement that they can quickly replace lost products and help their customers out while traveling. Amex Travelers Cheques within 24 hours and credit cards might take a bit longer (haven’t seen advertisement with a timeline for a few years now). The lady was able to immediately give me the delivery time and mentioned the card would be left active as it’s still in my possession so I can continue completing purchases with it by entering the details manually. 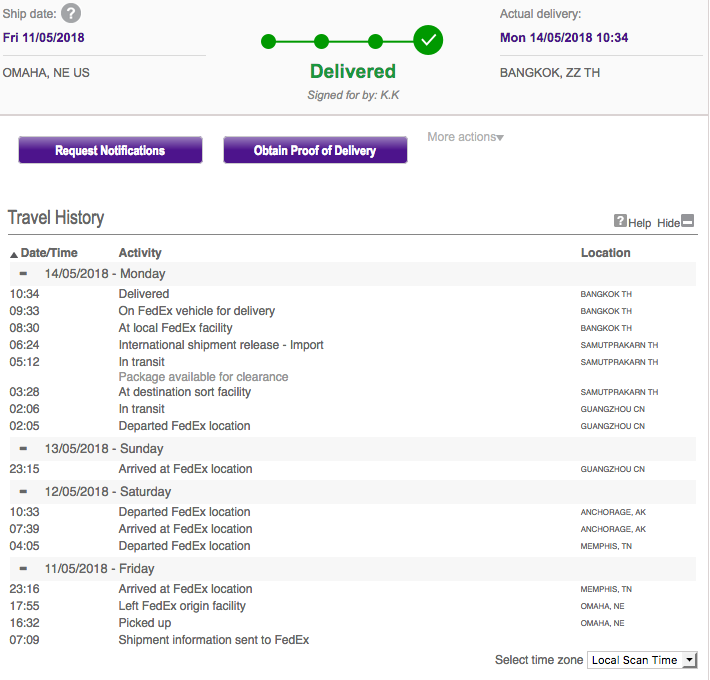 The courier came by at 10:30 on Monday morning handing the envelope over which I found to be extremely efficient. I asked the Amex representative if it’s possible to have a card issued by their Thailand office on the same day and he mentioned that they stopped doing that several years ago. Amex could however provide me with cash money if required and charge it to my account. Considering the weekend in between I was really impressed how quick American Express handled this exchange. A lot of this has to do with the FedEx service though that picked up the envelope on Friday afternoon and delivered it Monday morning. Last year I had a similar incident with Chase that was also processed quickly. Compared to that replacing a Mastercard issued by Commerzbank in Germany was a total disaster customer service wise and I’d strongly urge not to rely on them. Maybe it would be a bit more customer service friendly on Amex part if their local offices could issue a temporary replacement card. Especially these days where cards are being cloned every left and right it’s a common occurrence that travelers suddenly find their cards unusable so better be prepared and have at least 1-2 extra cards in reserve should that happen to you.